More than three weeks after its release, Shah Rukh Khan's Fan has run into a new controversy. The owner of one of Delhi's most popular sweet shops, Ghantewala has sent a legal notice to the team of Fan. Sushant Jain, the owner, has alleged that the film has used the brand of his famous shop without any sort of permission. Even a dialogue in the film has the shop's name. One of the scenes in Fan, Gaurav Chandna's parents hold a sweet box from Ghantewala asking Gaurav to present it to Aryan Khanna on his birthday. Another scene shows the same mithai ka dabba being dumped on the road as the mob collects outside the superstar's bungalow to have a glimpse of him on his birthday. "Our client is perhaps a one-of-a-kind business that has, over the past more than 225 years of its existence, witnessed history unfold before itself and has been instrumental in its own way in shaping it." It further alleges that the name Ghantewala sweets has been used in the fiilm "without seeking the consent, permission and/or license of our client amounts to infringement of trademark." "Such act of deliberate infringement, you are attempting to misrepresent and deceive the public at large into believing that your said feature film titled FAN enjoys the patronage, sponsorship and endorsement of our clients, and/or that such use as is described above in your said feature film is under license from our client, which facts are neither true nor correct. In fact, it is our client's wish that our client does not want to have any association with you, your feature film and/or its consequent success or failure." 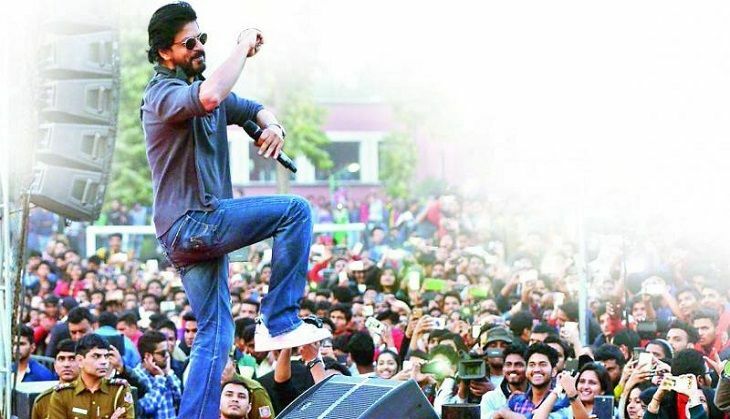 The notice has been sent to Yash Raj Films, Aditya Chopra, director Maneesh Sharma, writers Habib Faisal and Sharat Katariya, and Shah Rukh Khan.